Manchester United target Ivan Perisic has committed himself to a new five-year contract with Inter Milan. The 28-year-old was Jose Mourinho's top attacking target during the summer transfer window but United were unable to agree a deal with the Italian club. Inter manager Luciano Spalletti strongly opposed the Croatian's sale and Mourinho eventually praised the Serie A club's efforts to keep him at the club. Inter demanded £48m for Perisic and had also attempted to negotiate a deal that included Anthony Martial joining them in the opposite direction, which United were unwilling to do. 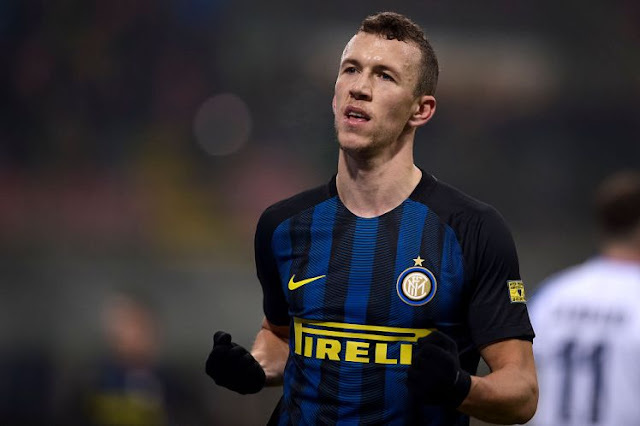 Mourinho did not sign another attacking player instead of Perisic, who has scored 21 goals for Inter since a move from Wolfsburg in 2015. He began his senior career in France after a youth switch to Sochaux from Hajduk Split before spells at Club Brugge and Borussia Dortmund. He has 59 caps and 16 goals for Croatia.